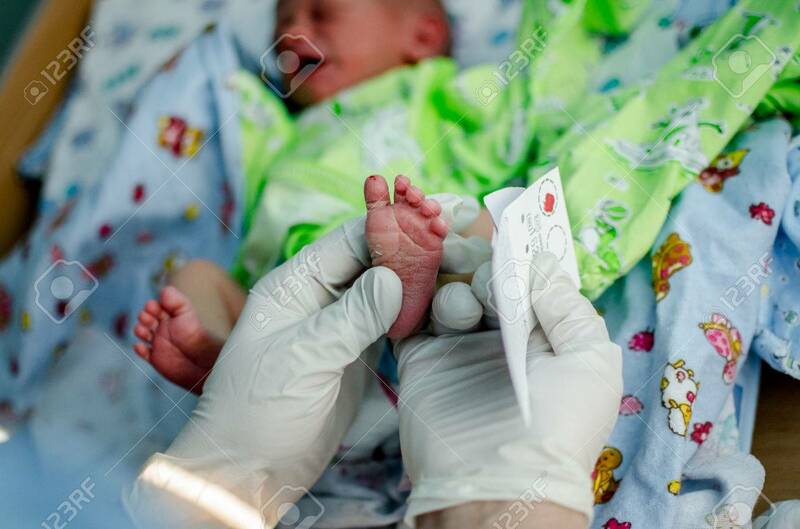 Doctor Takes A Blood Test In Newborns. Extract From The Hospital Banco De Imagens Royalty Free, Ilustrações, Imagens E Banco De Imagens.. Image 57238843.